Features High performance ring spun polyester fabric S.. Outdoor toss pillows made of high-performance ring spun polyester fabric with 100% polyester fil. 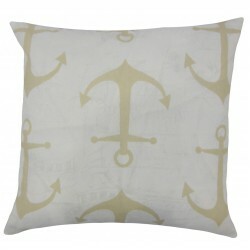 Gr..
Give a crisp look to your outdoor space with this accent pillow. Decorate your patio, garden or pool.. Decor pillow is more than just an accessory. It brings comfort and texture to your outdoor space mak..
Color blocking is at it's best in these playful poufs, perfect for indoors or outdoors. Stain re..
Bring in a cool and refreshing vibe to your outdoor space with this plush accent pillow. This decor .. Stylish and fresh, this gorgeous accent piece makes a great addition to your home. This square pillo.. Lend a spring vibe to your interiors with this blooming throw pillow. This square pillow features a .. This plush accent piece brings elegance to your interiors. Adorn your lounge, patio or garden with t..
Bring a whimsical look to your lounge, garden or patio with this outdoor pillow. This 18" pillo.. This accent pillow brings a fun update to your outdoor space. Featuring its foliage pattern in shade..
Great for adding a casual and laid-back vibe with this 18" pillow. This square pillow features ..
Decorate your patio or backyard with this summery throw pillow. This accent piece features a unique ..